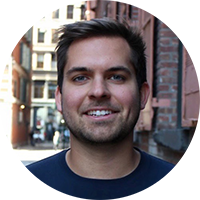 Sign up for a one-on-one advisor session with Matt Melbourne, Business Development Lead at Republic, an investment platform for startups to raise capital and for everyone to invest in startups. Republic's selective, curated platform hosts a diverse set of both equity and crypto-focused offerings. With both accredited and non-accredited investors, companies can raise growth capital while engaging their community or network of users, customers, or other supporters––all as one line item on the cap table. Republic spun-out of AngelList in 2016 to open up startup investing to everyone and to democratize access to venture capital. Matt leads Business Development on the East Coast at Republic. Before diving into the startup world, he worked on Global Citizen’s BD team that managed corporate partnerships of their Fortune 50 accounts including Google, Johnson & Johnson, and Citi. He holds a B.A. from Georgetown University.